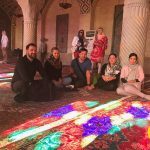 Some $24 billion came into Iran over the past three and a half years because of foreign tourists, the deputy director of Iran’s Cultural Heritage, Tourism, and Handicrafts Organization (CHTHO), Morteza Rahmani-Movahhed, said on Monday. 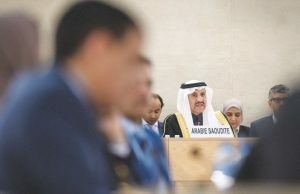 More than 16 million foreign tourists have visited the country during the mentioned period, ISNA quoted him as saying. 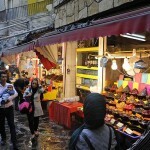 Each traveler has, therefore, spent $1,500 on average in the country, Rahmani-Movahhed explained. The official made the remarks at a ceremony to mark the World Tourism Day, which was held a day ahead of its specific date, at the IRIB International Conference Center in Tehran. He also attached great importance to the domestic tourism industry, saying the government is making effort to expand [tourism] infrastructures for domestic travelers. Elsewhere in his remarks, Rahmani-Movahhed said that tourism is amongst the few sectors that have reflected positive effects of the nuclear deal, officially called the Joint Comprehensive Plan of Action (JCPOA). Iran and the 5+1 group – the United States, Britain, France, China and Russia plus Germany – finalized the text of the JCPOA in Vienna in July 2015. The nuclear deal went into effect in January 2016. 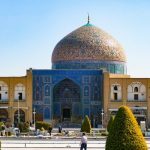 Meanwhile, the official hinted at the motto of the World Tourism Day, “Tourism for All, All for Tourism,” expressing hope that tourism industry in Iran would maintain its progress throughout the years ahead. 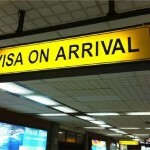 In August 2015, Iran extended visa on arrival for foreign tourists from 15 days to 30 days. 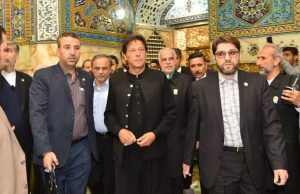 CHTHO Director Masoud Soltanifar said the easing of visa rules was opening the door for the return of foreign tourists to Iran. In 2014, the country hosted over five million tourists, bringing in some $7.5 billion in revenue. Moreover, last year, official figures put the number of incoming tourists at more than 5.2 million, generating over $8 billion. 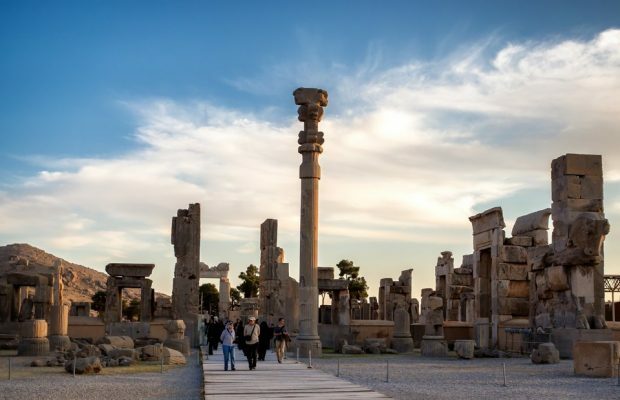 The undated photo above provided by Irantravelingcenter.com shows travelers visit the ruins of Persepolis adjacent to the southern Iranian city of Shiraz. The UNESCO World Heritage site was once the ceremonial capital of the Achaemenid Empire (550–330 BC).